Perfect holiday means spending the day by the beach, splashing around with your loved ones in crystal clear waters, sipping cocktails at the beach bar and feeling the rhythm of the Greek summer as you dance barefoot on the sand under the moonlight. 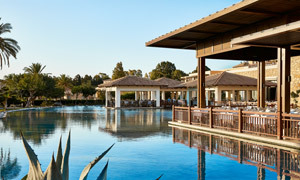 Every Grecotel is a paradise for beach lovers, where you can do all these things! Endless beaches, numerous water sports, pools that stretch into forever, amazing waterslides, an Aqua Park and much more await guests of all ages for the most fun you have ever had! 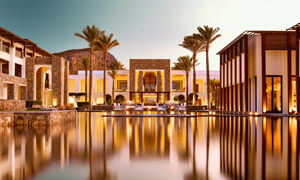 A night-time beach party that leaves Grecotel guests moonstruck. Soak up the shimmering sunset and let the rhythm of the music waft you towards unique sensations... a summer night rhapsody to remember! 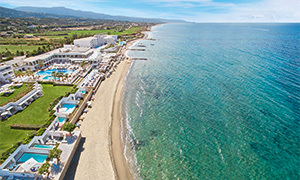 Grecotel beaches are dream destinations awarded by internationally recognized organizations. Spend lazy days by the sea, shelter under the shade or enjoy a relaxed cocktail overlooking the soft waves as nature shows off its sunset theatre. Beach bars are Grecotel’s bright and sparkling venues from which to watch beach life go by. You don’t even need to leave your private gazebo as friendly staff serves five-star beaches during the hot summer days. 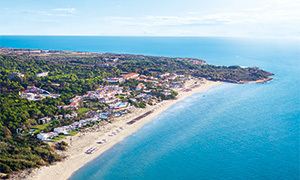 Grecotel guests and sport lovers find myriad of challenges at the resort’s beaches, while others choose to enjoy the sea from the shore, that are supervised by certified lifeguards. Dreamy children-friendly beaches with shallow waters can be found at most Grecotels, while the thick rolling sand is perfect for building castles.